We’re filming a commercial this Saturday, and we couldn’t be happier. What we thought would be nerve-wracking and infinitely tough became one of our most fun projects yet: writing a script for our first ever commercial. The first one was good. We laughed a little bit. Then we saw an opening into something greater. The second script was better. We laughed more. We revised it, and then we laughed a lot more. Then we knew what we had to do to make it better. The third script was even better. We laughed harder. We thought it was the one. Then after reading it for the hundredth time, our thoughts crystalized: we can do even better. Since then, it’s been revision after revision after revision. And that’s the way it should be, should it not? If it were this easy, everybody would be doing it. So we revised what we had, and it came out marvelously. Then we decided to write a couple more. Filming starts Saturday, and we’ll keep you updated throughout the process. 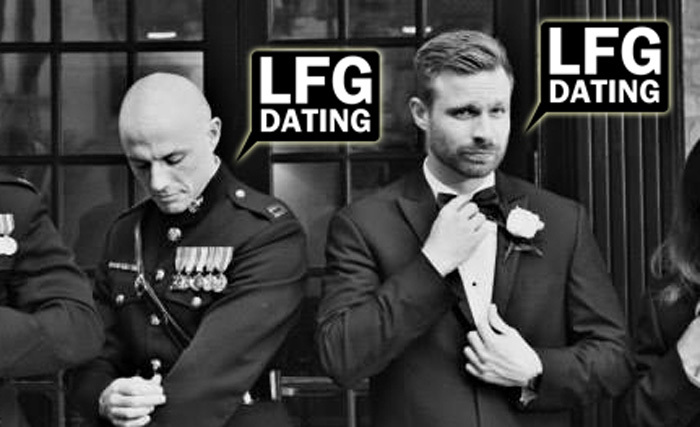 Maybe you’ve read this far, and you’re thinking, “What’s so important about a commercial?” If you need to ask, you haven’t immersed yourself yet in what it means for Patrick and I to be at the helm of LFGdating. We love our members, and our video commercial will show that in a whole new way.